The #1 Kratom Shop in the world offers you the gold standard for Kratom leaf and extracts! Forget all the varying names used by vendors to entice you in to buy their product such as "super" or "indo" or "green malay"and countless others; we simply offer you the same carefully-crafted extract that we work with ourselves. And, the extraction process has been fine-tuned over the past few years out of our passion for Kratom; our staff biochemist has discovered a way to reduce the less desirable properties that sometimes accompany it. This is the Kratom 15x Powdered Resin Extract from Bali. Extremely pure with consistent quality from batch to batch, crafted from dried leaf and nothing else. This Kratom has been one of the staples here at the shop for almost a decade, and we're proud that our Kratom 15x Extract is the highest quality we've found anywhere. Forget all the varying names used by vendors to entice you in to buy their product such as "super" or "indo" or "green malay"and countless others; we simply offer you the same carefully-crafted extract that we work with ourselves. We stand behind all the products we offer here at the shop, but this one, in particular, has caught the attention of everyone here, and literally hundreds of thousands of customers worldwide. We don't think that's an accident. This product has a "silky" feel to it, and has a purity to it that you can actually see. 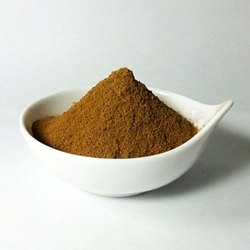 If it were up to us, we would only sell our 15x Kratom Extract because we believe in it so dearly, but our customers are wide and varied, so we provide the products that people ask for. We've been around longer than anyone else, we've sold more Kratom than anyone else, and we also have our 100% Satisfaction Guarantee with ALL of our products, including Kratom. We will never forget that it is our treasured customers who have made us who we are. Couple that with our intensely high standards for every product we offer, and we know that you will not be disappointed. We offer a wide range of Kratom Extracts to empower our customers to not only choose their favorite product, but to educate them on the variety of products available as well...so enjoy and enlighten yourself! SIDE NOTE: This is the same with our line of Hawaiian Baby Woodrose (HBWR) Seeds as well. We offer everything from the least expensive seeds from Ghana, to the prized seeds that are privately harvested on our farm in Hawaii. We've seen more than a few competitors sell the Ghana strain of HBWR as the prized Hawaiian Baby Woodrose seeds from Hawaii, and this is not only unethical, it's cheating the customer. So, know that each one of our Kratom products is tested for consistency and purity on a regular basis. Know that we work with the actual Kratom incense we offer our customers, so we're extra careful in choosing only the best leaves, extracts, powders, resins, tinctures, and elixirs we can find, harvest, or craft. If you're not happy, we're not happy, especially when it comes to flagship products such as our Kratom incense products. Find even more Kratom information at one of our Affiliates; The Kratom Shop. We craft this product in small batches, with constant stock turnover. So, none of our 10x Powdered Kratom sits for more than a week, two at most, as the production is constant. That means the Bali Kratom Powder we make our Kratom Powdered Extract Resin from is the freshest available. We only select Kratom growers who can consistently pass the stringent requirements for food-grade products, which includes no harmful pathogens, low mold and yeast content, low bacteria count, and of course, no dangerous pathogens such as E. coli. All of our Kratom is verified authentic by Columbia or Wonderland-Labs, and we only choose the highest quality Kratom leaf and powder from verified sources. Nearly 2 decades in business, we have a wide variety of sources, and only the best sources make it through our strict screening process. Why trust Powdered Bali Extract 15x Resin from anywhere else?